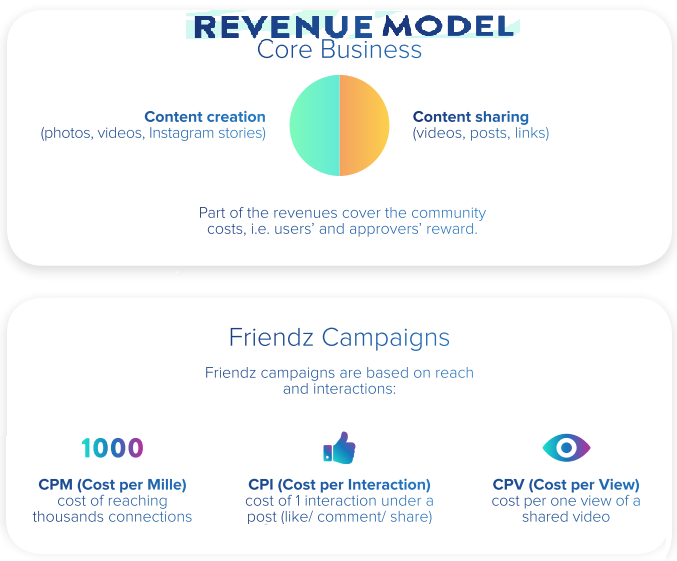 The Friendz ICO will raise funding for an Ethereum blockchain-based peer-to-peer digital marketing and advertising platform. It applies a novel approach by allowing companies to connect with real-life people in order to hire them to promote their products and services on their social media platforms. The premise of this venture is to create what it calls ‘Fun campaigns’, whereby brands will task social network users with creating interesting creative content based around the theme or product that they would like promoted. In exchange, users will receive remuneration in exchange for producing and sharing their content in their social feeds. 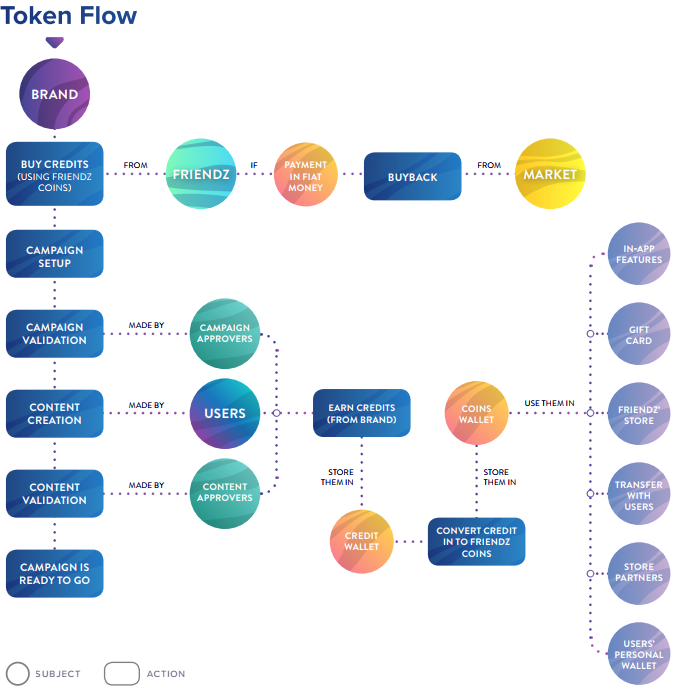 This ICO stands out in that it is an existing platform that already claims a user base of around 200,000 members. It was launched in Spain in 2016 and has since opened offices in Italy and Switzerland as well. The purpose of this ICO is to transition this model to an internationally accessible, transparent and secure blockchain infrastructure. Clients first contract the Friendz platform to create an engaging and fluid marketing campaign. The Friendz network then contacts its users to submit photographs that capture the theme of the campaign. If these photographs are approved by Approvers, the users will then be able to submit them on the relevant social medium, which will be specified by the client. Their content will then be rated from 1-5 stars, where 5 stars indicate top content. These ratings will impact the amount of Friendz Coins that they will be awarded, as well as their positionings for future offers. This is significant, as there are limited claims available for each campaign, meaning that content creators will have an incentive to produce the best content possible. Users can participate in campaigns from a variety of digital devices including Android mobile phones and desktop computers. This means that users will be able to create and submit contact wherever they are, thereby providing them with the opportunity to monetize on their daily lived experiences as they happen. This approach benefits the advertisers in a number of ways, firstly in that viewers are more likely to engage with the marketing content, as social media users enjoy browsing and commenting on their friends’ content. This differs from the typical advertisements that are often either ignored or blocked, and secondly in that these campaigns will most likely be cheaper than the more elaborate marketing campaigns that are typically employed. Clients are also able to track the success of campaigns by means of a dashboard that will allow them to monitor factors such as demographics, localities and average budgets. There are a variety of campaign plans for clients to choose from, including brand awareness and lead generation campaigns. Once an agreement is reached, these plans will be conducted by Friendz employees, with payments being deducted from the revenue generated from the campaigns. The remaining funds will then be transferred back the clients. All content is manually scanned and approved by approvers who are responsible for assessing the imagery, relevance, caption, as well as other factors. Approvers are former users who received high rankings in a sufficient number of campaigns followed by a screening process by Friendz. Approvers also receive rankings based on the accuracy of their assessments as calculated based on the success of approved content. Therefore, while approvers to receive compensation for approving content, there are mechanisms in place to ensure that Approvers perform adequately, as it is possible for them to lose their Approver status, should their ratings fall below a certain threshold. Friendz Coins are ERC20 compatible tokens that are used for purchasing Friendz Credits, which are the medium for conducting transactions and rewards within the Friendz ecosystem. Approvers are responsible for verifying clients and setting up campaigns and receive Credits as remuneration for the fulfillment of these tasks. Other approvers will receive Credits for reviewing and approving user content, as will the content creators whose content is approved. Coins can also be used to purchase on-platform services and products. 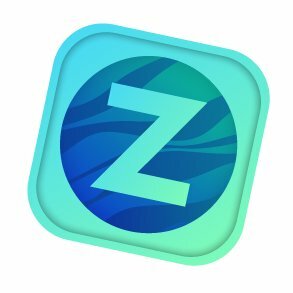 All users will be required to set up a personal in-app wallet to allow for transactions and payments of Friendz Credits and Coins. Credits are only operational within the framework of the Friendz platform, whereas Coins can be transferred and traded off-platform.